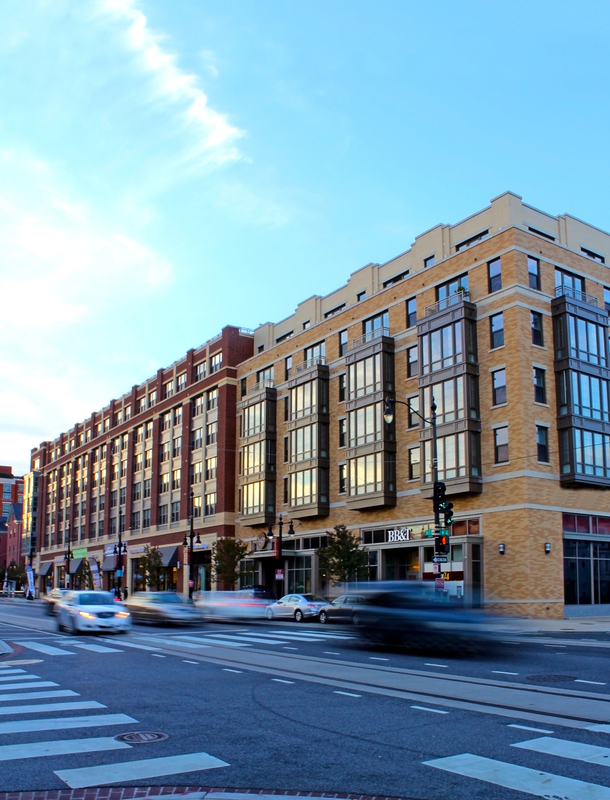 360° H Street, located just two blocks from Union Station in Northeast Washington, D.C., is a 215-unit, six-story, mixed-use apartment community. The property encompasses two stories of below grade parking, 42,645 square feet of leasable area on the first floor including a Giant supermarket, and an elevated courtyard and amenity area on the second floor. 360° H offers on-site, below grade parking for retail and residential usage and promotes public transportation. The project design earned LEED® Silver certification from the U.S. Green Building Council and features many sustainable aspects, including low-emitting materials and water saving appliances. The building’s exterior has a three-color scheme consisting of brick, cast stone, and aluminum panels and windows. 360° H Street offers 197 market rate apartments and 18 affordable units to a revitalized area of our nation’s capital.